Your vermeil jewelry was a deal, costing much less than gold, while still looking beautiful. For occasion pieces, vermeil holds up well, but leaving them in the jewelry box is a sure way of running into tarnish. When you start to see dark spots on your vermeil jewelry, don’t stress. Depending on your piece of jewelry, there are a few ways of dealing with the pesky tarnish problem. Vermeil is gold-plated silver, so you must be very careful to not rub off the layer of gold. 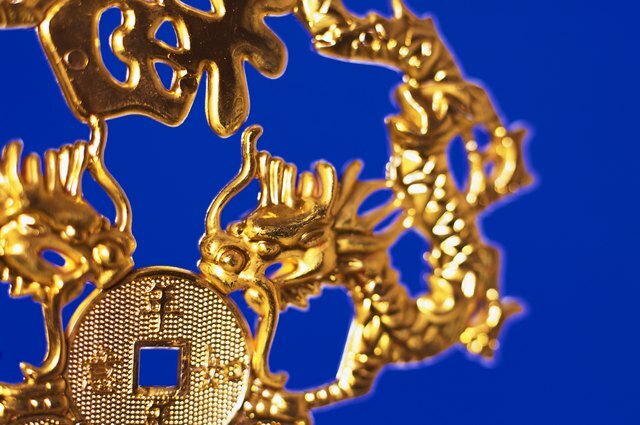 Frequent wear and abrasive cleaning can wear off the gold. 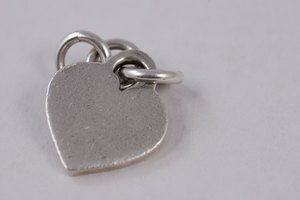 According to MyJewelryBox.com, you should not clean your vermeil jewelry with a liquid cleaner. Instead, a jewelry polishing cloth is safe to use on vermeil and effective on tarnish. Make sure your polishing cloth is safe for gold and not too abrasive. Silver cleaning cloths may be too harsh on the gold layer and rough cloths can remove the gold prematurely. A polishing cloth may take a while, but don’t rub too hard. If you don’t have a polishing cloth, a soft, cotton cloth or towel may take off the tarnish, as well. According to Sandra Jordan Wine Country Traditions website, you should clean your vermeil jewelry with a mild soap and hot water, rinsing thoroughly with hot water and drying immediately with a clean kitchen towel. You can then buff the jewelry with a soft cloth. If the tarnished spots do not come off the first time, repeat the process until all tarnish is gone. As before, do not rub or scrub too hard or you will risk removing the gold layer over the silver. If the vermeil jewelry means a lot to you, but none of the other cleaning options are working on the pesky tarnish, you may want to take the piece to a professional jeweler for a cleaning. A jeweler will have the tools of the trade to remove the tarnish safely. Your jewelry may be tarnishing more because you have already removed some of the gold, so a jeweler may need to take off the deteriorating layer of gold and re-plate and refinish the piece. 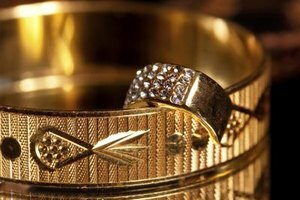 You can keep the tarnish at bay if you practice prevention methods after each wear. Remove all body oils and daily grime with a polishing cloth before replacing the piece to your jewelry box. 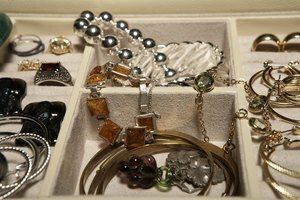 Store you jewelry in an airtight container, such as a sealable baggy. Some jewelry bags and boxes are lined with tarnish-resistant materials, as well.